Redundant garages and dilapidated house. 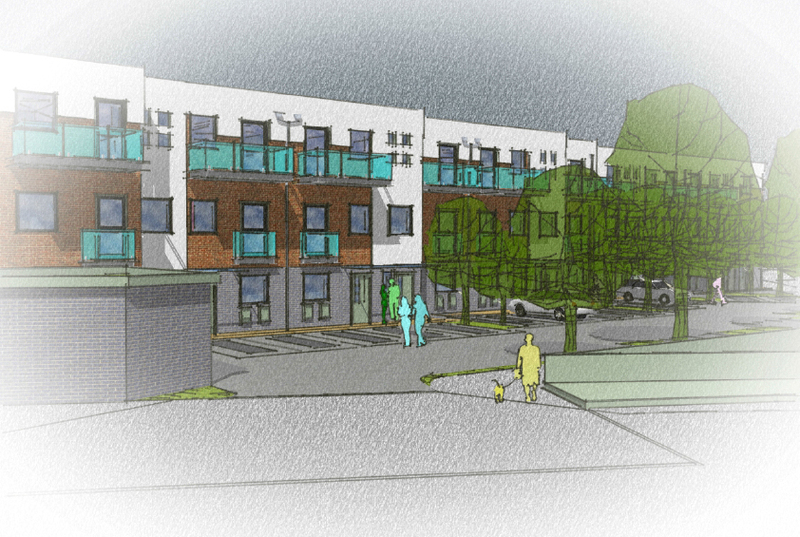 Planning approval received for 21 Flats and Maisonettes. 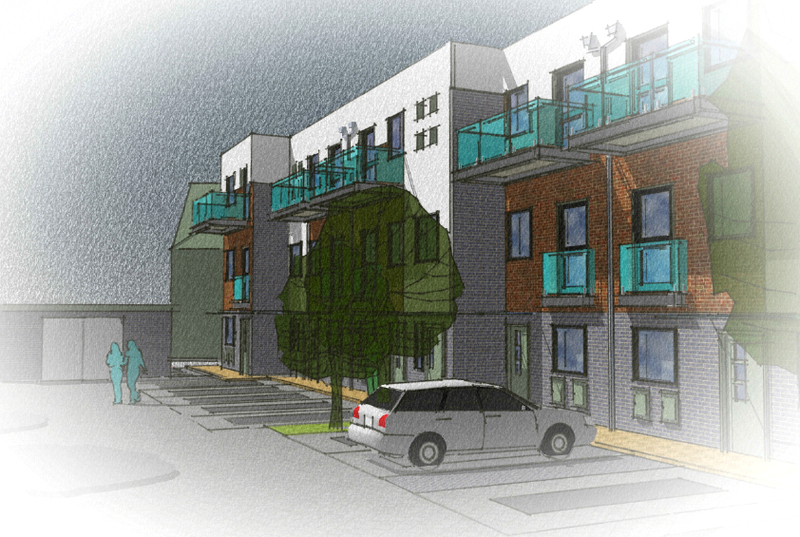 Design & Build contract with Amicus Horizon Housing Association.